If you're not already aware of the brand they are a highly innovative scientific organic beauty brand, which began in New Zealand. Founder Elizabeth Barbalich, has built her company on a combination of the highest quality ingredients from New Zealand nature along with raw super-fruit extracts, using science to produce high-tech certified organic and premium formulations. As I mentioned above the two new products focus on the main ingredient Manuka Honey Active 20+. This is a natural source for antibacterial properties that help to calm inflammation and is typically used to aid wound healing. Of course this is also extremely beneficial in skincare since it hydrates & promotes fresh, youthful skin. First up the Manuka Honey Skin Brightening Light Day Cream* is packaged in a 60ml brown jar along with their signature label. 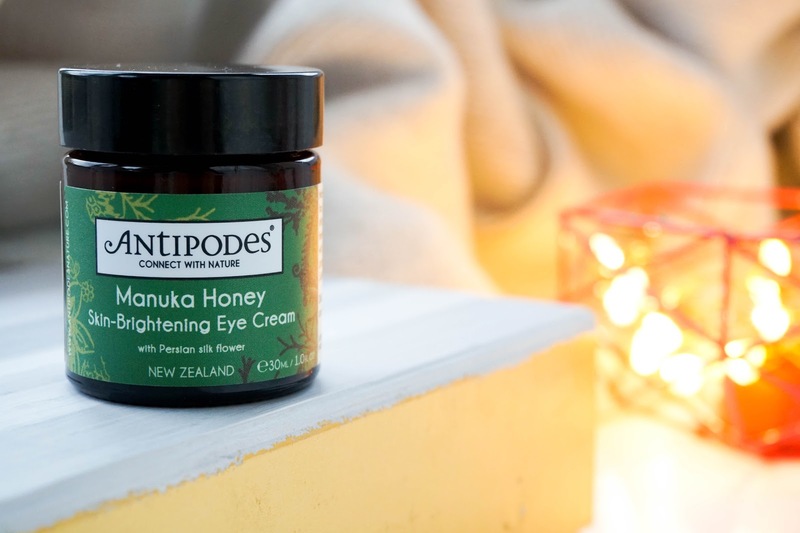 The main ingredient of course is Manuka Honey Active 20+, but the cream also includes bee venom and mamaku black fern to create a gentle lifting effect for the skin. Furthermore it there's also Vinanza antioxidants from grape seeds, kiwi and peony flower to brighten and lighten the skin, whilst reducing redness. The cream is suitable for all skin types, but especially aimed at those with combination to oily skin. At the moment I am using this in conjunction with a super hydration moisturiser, a luxurious balm and a night facial oil too. However if I was using it on its own I would worry that my normal to dry skin wouldn't get the nourishment it usually craves, especially this time of year. The cream has a thick texture that applies on white but disappears and sinks into the skin rather quickly (not instantly though so you do need to wait a couple of minutes before applying makeup). 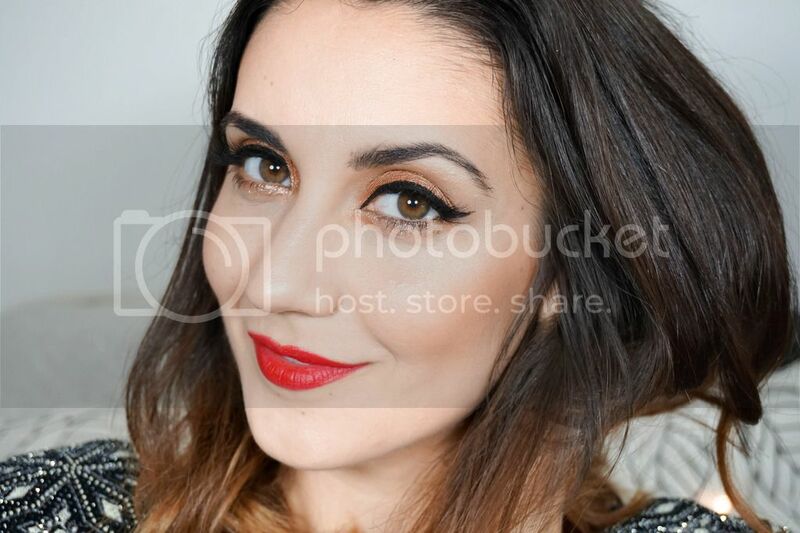 Overall it really feels like it wakes up my skin, leaving it soft and smooth with a matte glow. Next up I've got the Manuka Honey Skin Brightening Eye Cream* also comes packaged in a similar 30ml brown jar. 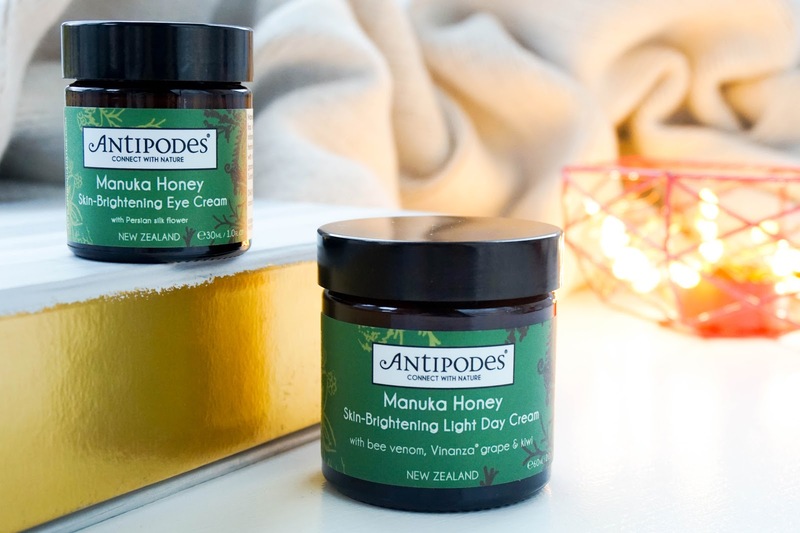 Again it mainly contains Manuka Honey Active 20+, Vinanza grape seed and kiwi skin, which work on calming, hydrating and freshening the under eye area. There is also the addition of luxury Persian silk flower to brighten delicate skin. In my opinion the thick texture of this eye cream is perfect for using at night (pretty much the only time I dedicate to using eye cream anyway). It feels really nourishing for the under eye area so the skin is plumped. It also adds an instant glow, which naturally help to reduce the darkness of my under eye circles. Both products have a lightly herbal and floral scent to them, nothing overpowering though. I have only been using these new skincare beauties for under two weeks, so this is definitely more of a first impressions review and I can't confirm on the long term results yet. However I have enjoyed adding them to my routine and haven't experienced any kind of irritation or discomfort to my skin. Like I mentioned earlier if you do suffer with dry to extremely dry skin, I don't believe these particular products would work for you unfortunately. If you have normal to dry skin like mine, make sure you are using them as part of a nourishing skincare routine containing products geared towards dry skin (such as cleansing balms, facial oils), as it balances everything out. However if you have a combination to oily skin type, then this duo on its own will be perfect for you. 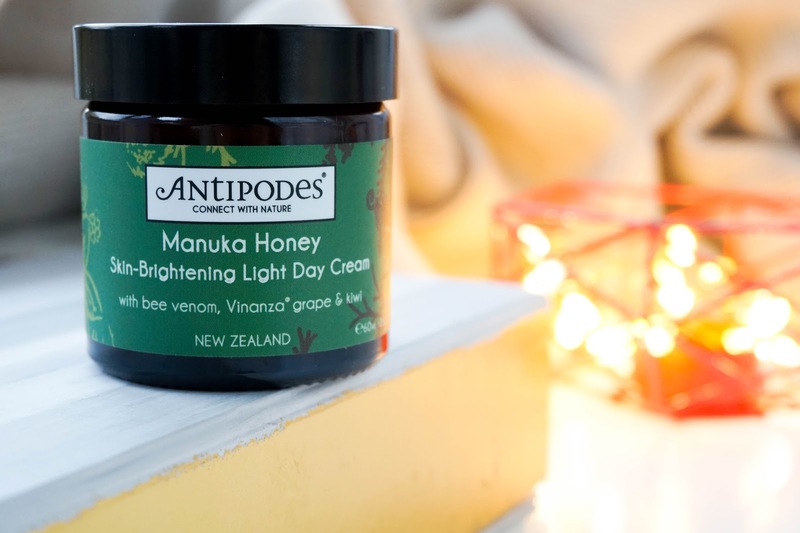 Have you tried anything from Antipodes before? 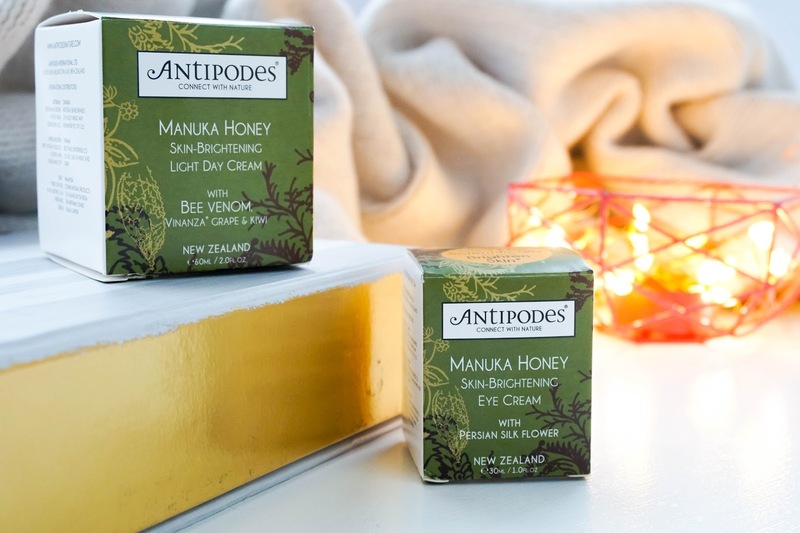 How do you feel about these new Manuka Honey products?